Thank you for posting this. I did not know it was wildlife week. To my readers, if you haven’t seen Serenity Spell click thru on this because you will fall in love with Florida if you haven’t already. If you are suffering the endless winter up north this will brighten your day! I *know* that gator guy! He has an eagle’s eye! Heee, you know them ALL! I’m so very sorry I’ve been out of touch… I’ve been traveling b/w here and GA, believe it or not. 🙂 How are things with you!?! Have you been good with hiking?! I eat; I breathe; I hike – all else in life are but accessories. 🙂 I’ve been spending a lot of time on the Florida Trail, between Corbett and Dickinson. I understand you’ve been enjoying the wildlife in Atlanta (good on ya, girl!). I still get out to the Apoxee and the SWA to see my gators, though. And speaking for all us hikers, I salute you and your fellow bloggers for all you do to help preserve my “playgrounds”. Your efforts really do make a difference. A good week with great opportunities. I especially liked the gator shot. Marsh rabbit baby – Squee! Beautiful post. I love the adjective CUDDLY for the alligator!! Just the thought of cuddling next to the alligator gives me a warm a fuzzy feeling !!! Hahahha! They DO cuddle, though — it’s quite a sight. Gentle giants! Of course, it’s always wise to know your subjects while hiking, eh? Thanks! — These are great pictures! Swamp bunny…..wonderful. Your photos are always so intimate with the animals. Thank you. Absolutely! I try to make note on my calendar of these events — I’m just glad our country has them; many don’t! I had always thought that rabbits were so quick on their feet because some sort of sixth sense told them that so many animals find them Delicious. Now I believe that that sense also tells them that EVERYBODY wants to chase them just to give them a you’re-too-cute-for-your-own-good hug. 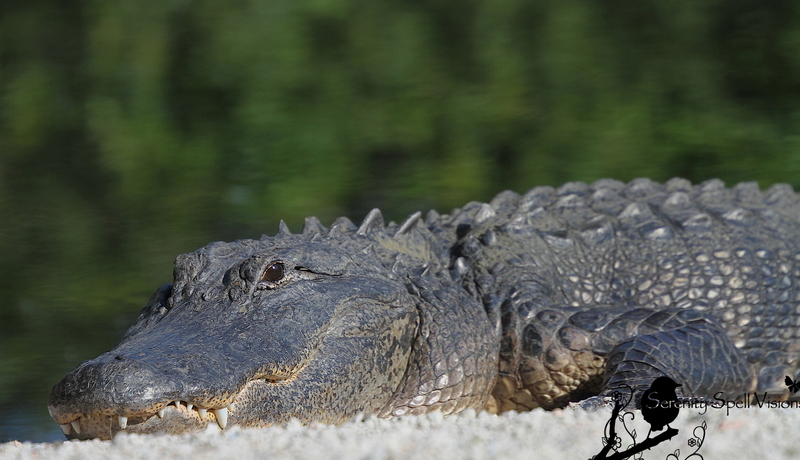 Speaking of cute: toothy gators! Boyfriend and I saw a Great Western Egret at the beach a few weeks ago. We were ridiculously excited. Hahahah! Oh, thanks so much for your always witty remark. You gave me a much needed laugh at the end of this week! Our swamp bunnies are ridiculously adorable. It’s absolutely insane. I squeal when I see them — literally. I suddenly turn into a 6-yr-old child. Thank God I’ll be driving around Florida this coming week. Can’t wait to see spring over there! A nice pictures! We should have a wildlife week in Sweden too, its a great idea! Happy Wildlife Week to everyone! And, I love your photos, as always! Isn’t he the sweetest guy ever? 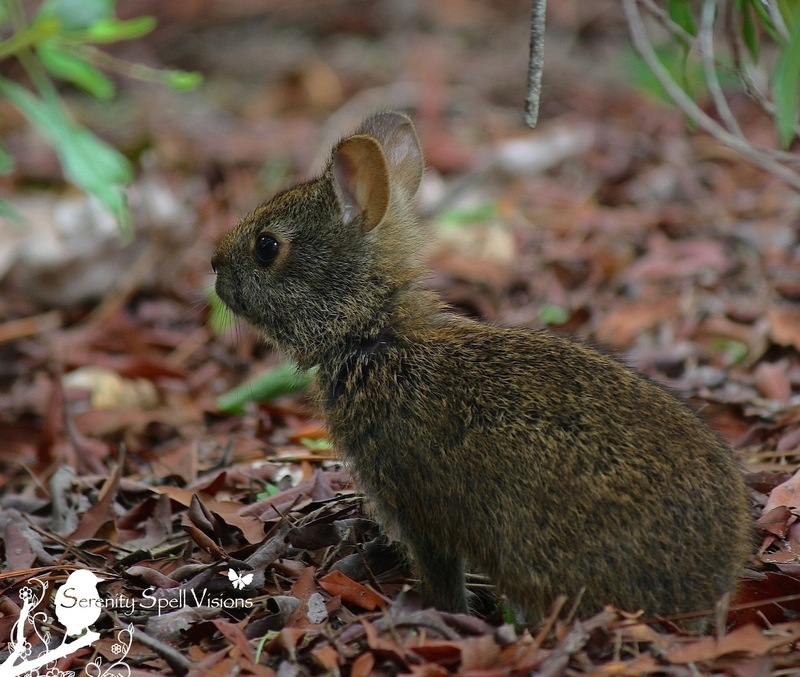 Our swamp bunnies are the most unusual little bunnies, crawling through the marshes and swamps… I bet you have them as well, actually! I enjoyed the photos. That swamp bunny is adorable. Thanks so very much (and I’m incredibly sorry for this tardy reply! )… He’s one of my favorites. I didn’t see many this year in the traditional spots, which had me a bit worried — but I know they usually do well. You’re back to blogging a little – hurray! 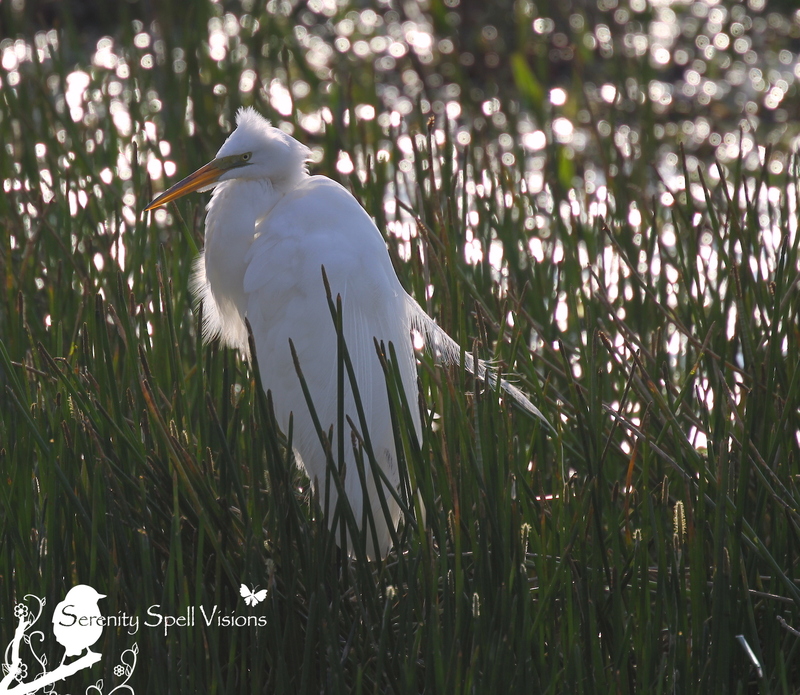 Lovely shots – that egret is fabulous. CC, Your pictures show the world the tremendous beauty that this state has to offer. We who live here, are all indebted to you for this!!!! As always, you’re SO INCREDIBLY kind… THANK you. You give me inspiration to get my heinie moving again, hee!! When we’re surrounded with such unique, astounding beauty, it’s not difficult to capture. Thank YOU for speaking up, always, for these amazing creatures. XO! You’re so incredibly kind, ALWAYS!!! XOXO a million times over…. I’ve missed too many posts, been trying to write poetry! Your pictures are a kind of poetry 🙂 Aren’t alligators amazing? And that rabbit…looks mighty similar to our furry friends. Heh heh!! I too, have been trying desperately to keep up with the amazing posts out there, while neglecting my own.